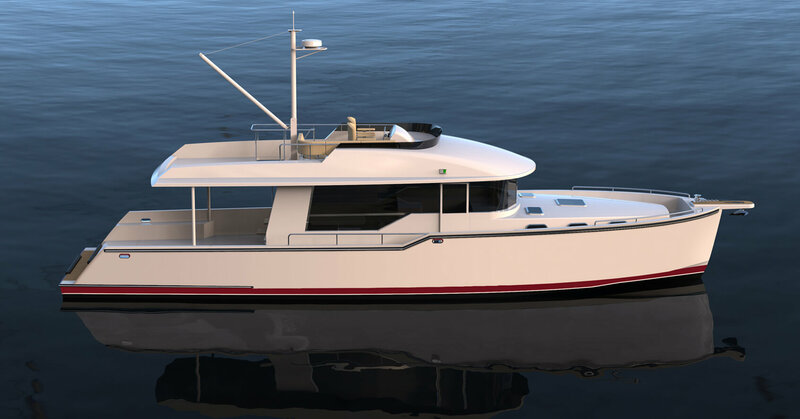 Amazingly versatile, extremely economical – the Outback 50 • 50 provides endless possibilities for offshore cruising and weekend adventures. 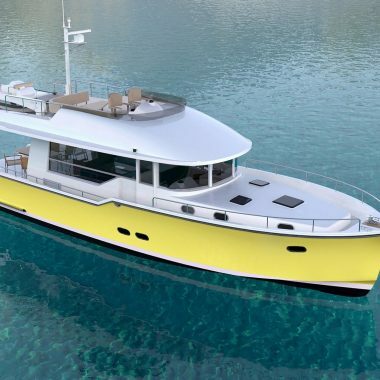 Advanced design development produces comfortable speeds approaching 20 knots while being powered by two 4-cylinder diesels. 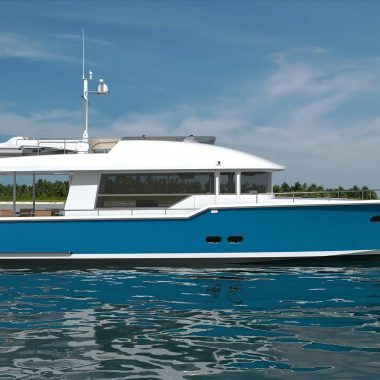 The Outback 50 • 50 has: the deck space of a 70 footer with the simplicity of a day boat; a unique lift gate transom which turns the aft deck into a true “infinity” deck; an optional “roll on” feature which enables you to bring your 16’ dinghy safely on board, plus a multitude of other options. 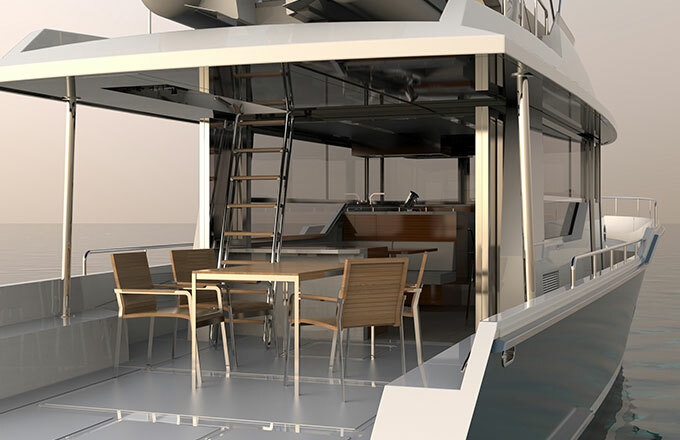 We chose the number one design team to develop our breakthrough utility motoryacht. 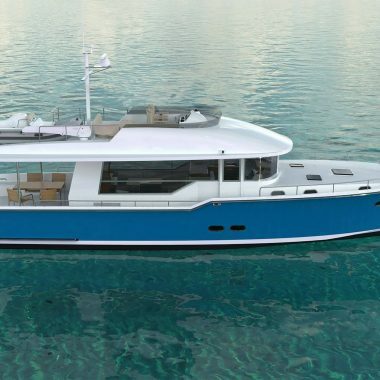 The Outback is a totally new approach to recreational yachting. 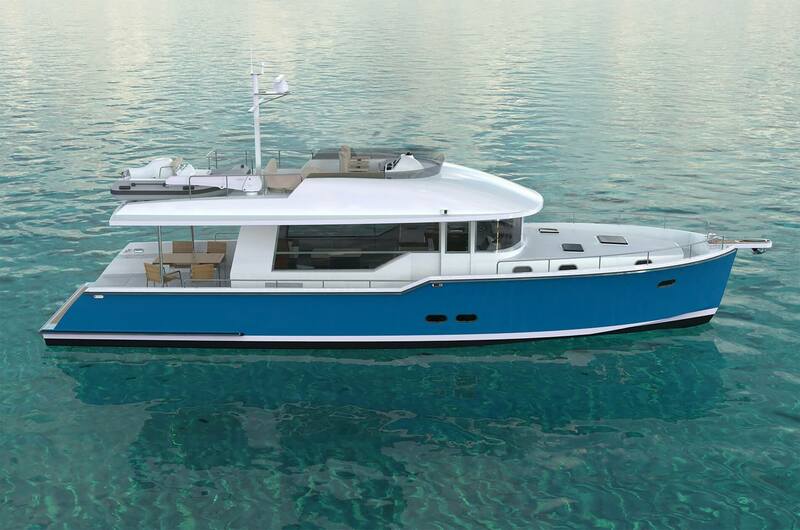 Please view the videos and find out why this legendary design team is so enthusiastic about the new Outback 50 • 50. 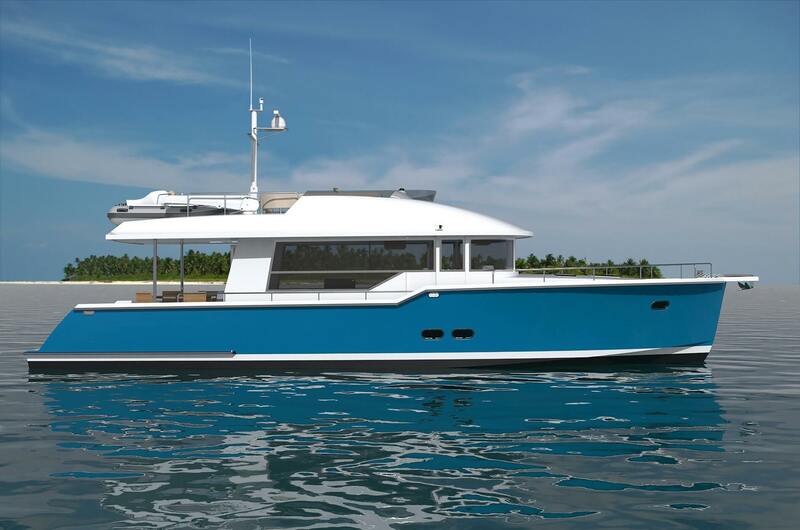 She is an extreme value with the interior accommodations of a 50 footer, the seaworthiness of a 60 footer and the deckspace of a 70 footer. Check out her performance numbers – they tell the story. 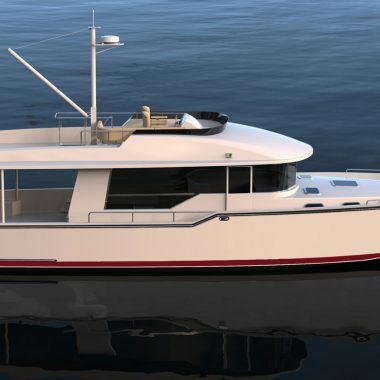 Fast, quiet, economical, and exceptionally sea worthy. 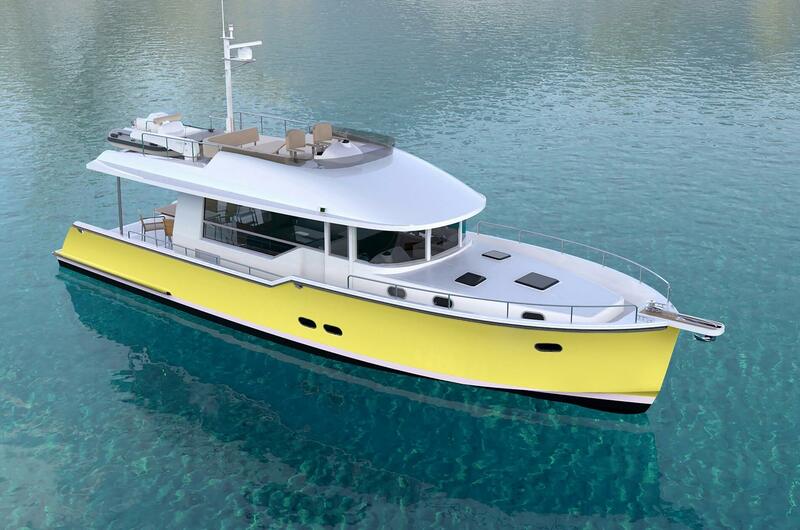 We will send you information about new yachts, promotions and events.